The March - April edition of The WetSet is posted: As highlighted last issue, six Board positions are up for election and it’s nomination time for the PNA Coach of the Year and our Dawn Musselman Inspirational Swimmer. Plan on attending the Social on the Saturday during Champs weekend! Read and view stories and photos from the Bellevue Club Masters Mile, TACM Anacortes meet (with Pizza and Karlyn Pipes), April Cheadle’s Butterfly Clinic, and the Lake Washington Masters Invitational. Plus, the regular Board meeting summary (including a graphical representation of PNA’s 2019 Budget); Calendar; and more! It’s also archived under The WetSet menu tab above. SplashForward posts on PNA and PSM Facebook pages: (Jan 2018) We are building our community base and raising awareness, having met with every Bellevue City Council Member (even the newly elected). They have been very receptive to this great need for a new aquatics facility, seeing our vision for how the greater Bellevue community would benefit. We are also working with the Bellevue School District to help facilitate the relationship between them and the city. We are engaging with the local high school aquatics families and swimmers to identify key spokespeople who will help us voice the unmet need to the School District Board and City Council. And we recently met with King County and all the Parks and Rec Directors from Bellevue / Redmond / Kirkland. 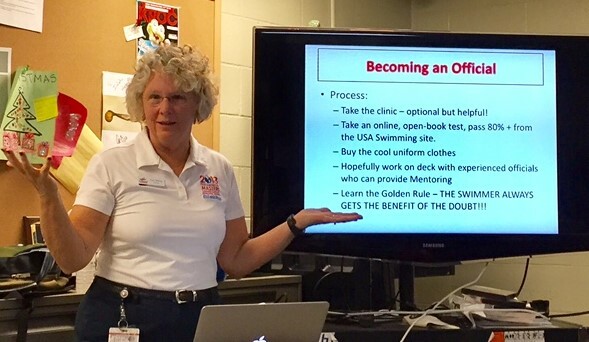 We need each other to find success in building a regional aquatics facility… which SplashForward thinks should be in Bellevue! PNA SCY All-Time Top 12: PNA Historian Walt Reid has cataloged the top twelve swims in each event from the earliest records of PNA through May 31 (end of Short Course Yards season) for the years 2011 through 2018. <--Click these or go to the Member Services / Records page (last ... More) to find all eight links. How do you compare against fellow PNA competitors? USMS Convention: Rule Changes Effective September 21, 2017: At July’s conference in Budapest, FINA approved changes (1) tightening timing system requirements for world records; (2) easing interpretation of the freestyle leg of individual medley and medley relay events; and (3) simplifying wording of the butterfly rule. At the just-completed USMS annual convention in Dallas, the House of Delegates agreed to conform. Details of these changes are described here. Swimmer Magazine: PSM's Wendy Van De Sompele reveals one technique contributing to her successful swim around Maury Island in the article "Bilateral Breathing" on page 10 of the January-February 2017 issue. And on page 39 you'll find a paragraph describing the USMS Sprint Distance Open Water National Championship (1 Mile) in September at Angle Lake Park, hosted by Blue Wave Aquatics. My USMS: Are you aware of this feature on the USMS website? It's all about you! Details on logging in (or registering for the first time) are shown when you click the "My USMS" link at the top right of the home page. Set up your account today so you can... wait – go there yourself to read all the benefits and tools available! Welcome to PNA’s new website - March 28, 2012. Please send your comments and suggestions to webmaster Steve Peterson. Click the links below for details on these events. Also check the Events and Calendar listings!